Forensic accounting involves the kind of fiscal detective work necessary to evaluate the accuracy of a business’, or individual’s, financial data. Forensic accountants may be called upon to manage bankruptcies, advise on investments, or consult on potential mergers and acquisitions. More often than not, forensic accountants are reviewing financial reports as they relate to fraud, embezzlement, and other white collar crimes. Forensic accountants play a vital role in keeping corporations honest, and in protecting the interests of their investors. 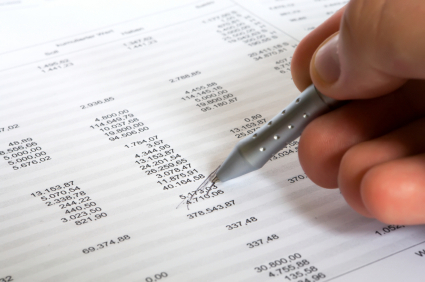 Forensic accountants need a strong educational background in business and business management. They are required to have, at minimum, a bachelor’s degree in accounting. Most successful forensic accountants hold a master’s degree, and are both certified public accountants (CPA) and certified fraud examiners (CFE). The demand for qualified forensic accountants is on the rise, and students pursuing this career path will find a wide range of lucrative employment opportunities. Entry level forensic accountant can earn between $30,000 and $60,000 a year. Experienced professionals can easily earn more than $150,000 year. Scholarships for forensic accounting are typically available to students who have reached their junior year of study in an accredited business or accounting course. Scholarship opportunities for students interested in forensic accounting are almost always merit-based, and will only be offered to students with solid academic backgrounds. Scholarship and grant programs dedicated to the study of forensic accounting are supported by business and professional associations, and colleges and universities. Many scholarships for students pursuing careers in forensic accounting are sponsored by businesses and professional associations. The purpose of these financial aid programs is to support and encourage the next generation of top flight accountants, with an emphasis on those students pursuing careers in fraud prevention and law enforcement. These scholarships are supported by both national and regional organizations. The following examples are typical of the types of scholarships available from the private sector for students pursuing careers in forensic accounting. The Association of Certified Fraud Examiners administers the Ritchie-Jennings Memorial Scholarship Program for students majoring in accounting and finance as they relate to criminal justice. To be eligible, applicants must be enrolled full-time at an accredited college or university, and must have a declared major or minor in accounting, business administration, finance or criminal justice. One $10,000 scholarship, two $5000 scholarships, four $2500 scholarships and twenty-three $1000 scholarships are awarded every year. The American Institute of Certified Public Accountants offers a variety of scholarships for its student members. These scholarships are available to students majoring in all accounting disciplines, including forensic accounting. The AICPA John L. Carey Scholarship awards $5000 to non-business and liberal arts degree holders who are pursuing graduate studies in an accredited AACSB accounting program. The AICPA Scholarship for Minority Accounting Students is open to African-American, Hispanic-American, Asian-American and Native American accounting majors. The annual award is $5000. The AICPA Accountemps Student Scholarship is open to all undergraduate and graduate students pursuing degrees in accounting with the intention of becoming CPAs. The annual award is $2500. All AICPAA scholarships are decided on the basis of academic merit. The Massachusetts Society of Certified Public Accountants sponsors an annual essay competition for students pursuing degrees and careers in forensic accounting. Essay topics will be set by the review board. Three winners are chosen every year, with the first place winner receiving a $1500 scholarship to be used at the college of their choice. Colleges and universities are often the best source of scholarships for students majoring in forensic accounting. As with all campus-based financial aid, scholarship opportunities will vary greatly depending on the school of attendance. Students are encouraged to visit their school’s office of financial aid to learn about any scholarship opportunities which may be available. Students should also consult their college advisers, as well as their department heads, for information on possible scholarship opportunities. The following scholarship programs will give forensic accounting majors a better idea of what may be available from their college or university. The University of Alabama-Birmingham’s School of Business offers a wide range of scholarships for accounting students at every level of their college career. One program will be of particular interest to forensic accounting majors. The L. Paul Kassouf Forensic Accounting Scholarship is open to junior and senior accounting majors with an interest in forensic accounting. Applicants must have a minimum 3.0 GPA. Financial need will be considered when there are equally deserving applicants. Canisius College in New York State offers a master’s in forensic accounting program as part of its business and finance curriculum. All students attending Canisius may apply for scholarships to help defray their tuition costs. The college estimates that 98% of its attending student body qualifies for some level of financial aid. The University of South Florida at Saint Petersburg offers a number of scholarships for students pursuing degrees in forensic accounting and related disciplines. Current scholarships include the FICPA Educational Foundation Scholarship, the Institute of Internal Auditors Scholarship and the Suncoast Chapter FICPA Scholarship. Awards are decided on the basis of merit. Scholarship amounts vary according to course of study and availability of funds. Forensic accounting is a growing field, and students will find a wide range of possible employment opportunities awaiting them following graduation. The study is intense, and the college costs can be significant, but with the right scholarships forensic accounting majors can find the financial assistance they need to make the career ambitions a reality.